Kalpavriksh would like to express its deep sadness at Taghi Farvar’s departure from this world, perhaps continuing his community’s ancient nomadic ways and his own love for travel into new worlds. Taghi was an old friend of Kalpavriksh’s, as part of several collaborative initiatives. He was the chairperson of CENESTA-Iran, of the IUCN Commission on Environmental, Economic and Social Policy, and of the International Consortium on Indigenous Peoples’ and Community Conserved Territories and Areas (ICCA Consortium), of which Kalpavriksh was a founding member. 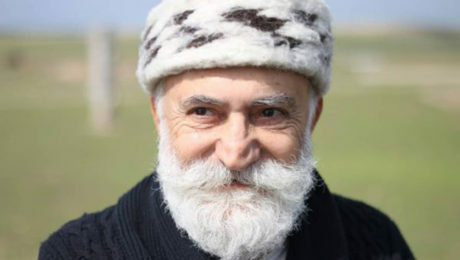 As a member of the Iranian Azerbaijan tribe, and co-founder of the Union of Indigenous Nomadic Tribes in Iran (UNINOMAD), Taghi spent the equivalent of several lifetimes promoting respect for and the territorial governance rights of indigenous peoples and other local communities. This he did both in practice (actively helping several nomadic peoples in Iran to gain recognition and rights, for instance), in policy (especially at international levels in IUCN and in the Convention on Biological Diversity, amongst others), and in (other) intellectual forums and publications. His command over more than half a dozen languages enabled him to reach out to communities and officials and academics across the world. Beyond all this, however, Taghi was an incredibly warm, generous, humour-filled, wise, mischievous, courageous man. Several of us in Kalpavriksh will not forget his unconventionality (not only in thinking but also daily acts, such as walking barefoot into formal meetings full of stiff-collared folks, sleeping in the corridors of global meetings, and much else), his warm bear-hugs, and his love for all things Indian. He could be enormously irritating (his absentmindedness getting many folks into all kinds of tangles), but his good-naturedness always won us over. We offer our deepest condolences to his family and loved ones in Iran and elsewhere.